No post about BSU is complete without this guy. Don't know him? Read on. On today’s edition of the Visiting Fan’s Guide? Ball State University itself. That’s Ball State’s slogan du jour, though when Edge and I attended it was “Everything You Need”. Catchy or not, those two advertising pitches truly encapsulate the University itself. The 1000-acre campus accommodates roughly 20,000 students, and is known for many academic courses of study that garner national attention. Landscape architecture, architecture, communications, journalism, education, music education, entrepreneurship, business, urban planing, and music engineering are all top flight programs. BSU gets a ton of flack from the Indianas and the Purdues, but I would say when it comes to public education in the state of Indiana, there is no better place than Ball State. While we may not have the national name recognition of a Big 10 school, you’ll find on your visit here the campus and its population is welcoming and inviting and just begging to be explored. Explorers of years past include the likes of sportswriters Mike Lopresti and Jason Whitlock, Garfield’s creator Jim Davis, Papa John’s founder John Schnatter, former UPS CEO Kent “Oz” Nelson, and Joyce Dewitt from Three’s Company all ventured throughout Muncie’s campus at one time or another. Athletically, the Cardinals have sent their fair share of success to the professional level as well. Basketballers Bonzi Wells and Theron Smith, footballers like Reggie Hodges, Brad Maynard, Nate Davis, Bernie Parmalee, and Blaine Bishop, and baseballers like Larry Bigbie, Bryan Bullington, and Tank Howard all wore Cardinal and White before they cashed in their professional paychecks. 10.) Shafer Tower: Look down McKinley and you’ll see it. This 150 ft. tall free-standing bell tower has 48 custom-made bells in the top and chimes every 15 minutes between 7am and 7pm. 9.) Emens Auditorium: The hub of Ball State’s entertainment, this venue has played home to acts like Bob Dylan, Rascall Flatts, and Kenny Chesney while also hosting numerous plays, Broadway productions, and other events. Emens seats approximately 3400 and is named after former President John Emens. 8.) Bracken Library: From the outside, the legend has it that Bracken was built to look like a stack of books. Not entirely true, but it certainly fits. Inside this library you’ll find thousands of volumes, a digital repository, and a nice cafe. As an aside, there are numerous loose connections the students have made over the years about certain buildings looking like related objects to their course of study. The business school allegedly looks like a typewriter, the College of Architecture and Planning an easel, and Prius Hall like a piano. See if you can find them or make your own comparisons. 7.) L.A. Pittenger Student Center: Newly remodeled and very nice, the Student Center has never been the student hub in the traditional sense of the word. As BSU expanded, it went the other direction geographically, and it leaves the student center on one of the edges of the campus. Regardless, the building itself has tons of history, tons of memorabilia, and a great food court should you find yourself in need of a snack. 6.) The Village: If you’ve read the eating and drinking guide to Ball State, you know all about the Village. It’s the off-campus spot for students to do everything from get art supplies to a cup of coffee to a frosty pint. Always worth the walk. 5.) Teachers College: If for no other reason than to say you’ve stepped foot in the tallest building of Delaware County. This is home to Ball State’s School of Education, our bread and butter for years. 4.) Frog Baby: One of the coolest things on BSU’s campus, and it sits right outside of Bracken Library. This small statue in it’s reflective pool has its bronze rubbed off it’s nose. Why? Because whenever a student needs good luck, they wade through the water and rub Frog Baby’s nose. Feel free to do it yourself, but Frog Baby doesn’t help visiting teams. 3.) 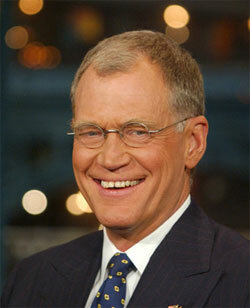 David Letterman Communication Building: New building that puts BSU communication program further ahead of the pack. 2.) Student Recreation & Wellness Facility: Opening in August of 2010, this facility will finally give the community a place for wellness that isn’t old, run down, and depleted. State of the art and worth a visit. And… the number one thing you must see on Ball State University’s Campus…. 1.) Beneficence: Probably no more recognizable landmark than “Benny” as she is affectionately known as to Ball State students, or “the lady with the wings” as she is known as to those who never went here. Benny was a gift to symbolize Ball State University’s generosity to the community. In her left hand sits a treasure chest, symbolizing the resources and treasures at Ball State. Her right hand is extended for anyone who would like to take advantage of them to be welcomed. Behind her stand five pillars, for the five Ball Brothers, and she was sculpted by Daniel Chester French, the same Daniel Chester French who sculpted Abraham Lincoln at the Lincoln Memorial. Cool, huh? There are some people (myself included) who pick up a tshirt of any college that they have visited. If that’s your bag, or you’re simply looking for some neat merchandise to commemorate your trip to Muncie you can check out one of the campus bookstores. The official, University-sponsored one, is in the Arts and Journalism Building while the two off-campus options are TIS and CBX, both in the Village. You’ve been to the bars, you’ve been to the restaurants. You’ve seen the campus, bought a Tshirt, had some hot dog man. You’re set for the Cardinal Gameday Experience. And that’s what’s coming up next. Can you locate any of the “Everything You Need” commercials? I seem to remember a catchier faster one, but that may be lost forever.